That no one will love me back, the way I loved them. Afraid that I’m easily forgotten to every soul who mean the world to me. 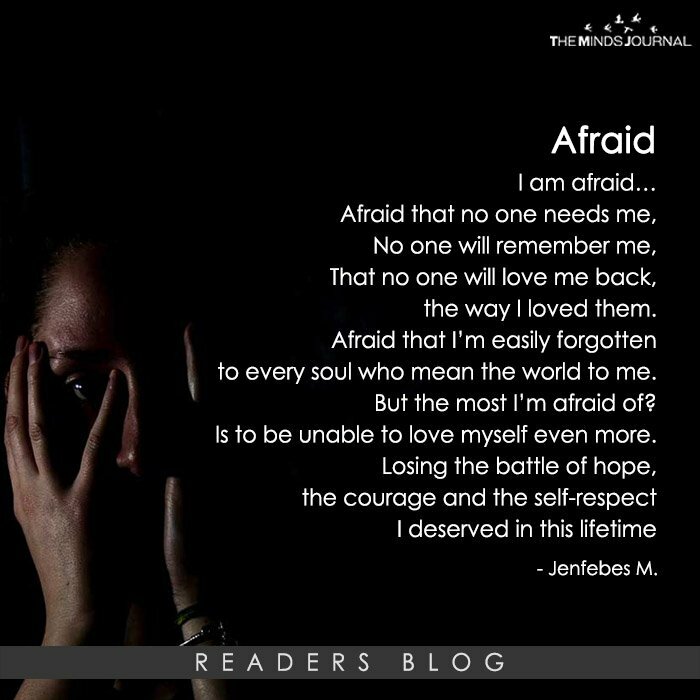 But the most I’m afraid of? Is to be unable to love myself even more.